I never thought I would be a cook…. If someone had told me, when I was working as a chiropractor 20 years ago, that in the future I would cook for other people, I would have been surprised. True, I still work with my hands to create wellbeing in others, but I never imagined the results would be so enjoyable and satisfying. 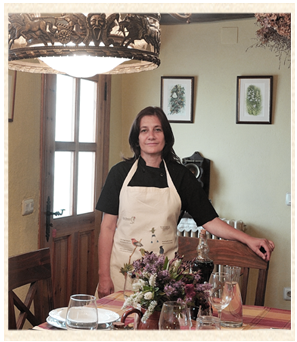 I was born in Barcelona , but now with roots in Aragón, so my home cooking is a blend of Mediterranean and inland cuisine.The experience I have gained over the years has resulted in home cooking made with loving care. I hope this book brings back some memories of good holidays in Casa Boletas. 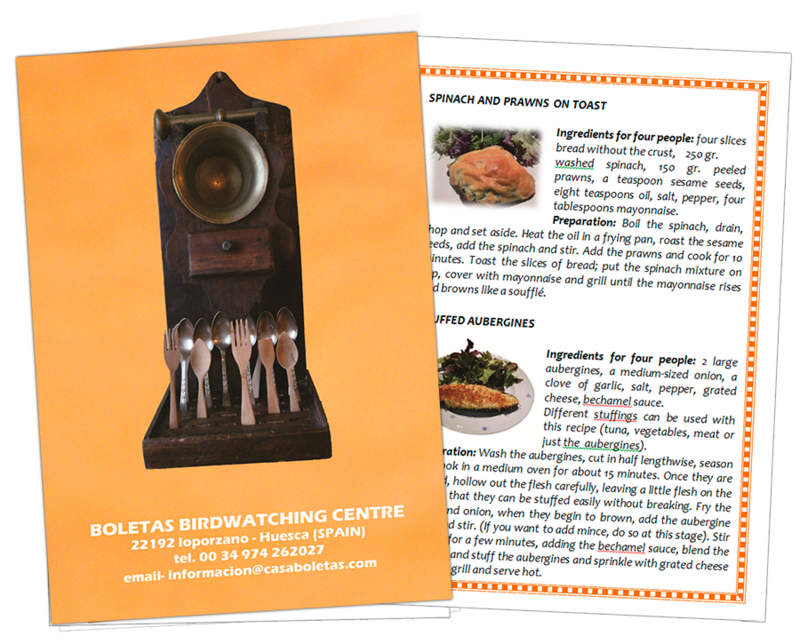 A lot of people have tasted the meals served in Casa Boletas, home cooking prepared with care and attention, and many of them have asked for recipes so that they can cook them in their own homes. So, at the request of the lovely guests who have visited us over all these years, and thanks to their interest, arose the idea of writing this small cookery book. It is a recipe book which contains simple, homely recipes with a personal touch. I would like to thank the marvellous guests who have visited Casa Boletas for the support they have given me, whose good words and praise for my cooking have made it possible to turn this idea into a reality. Thanks to all of you. I would also like to thank Virginia Lyons for her help in translating the book into English. I hope that you enjoy it, and that you use it to cook at home.